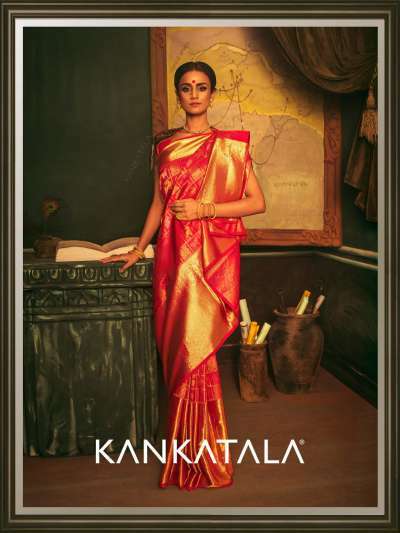 Queens of Andhra - Kankatala's New Collection is a Royal Delight! 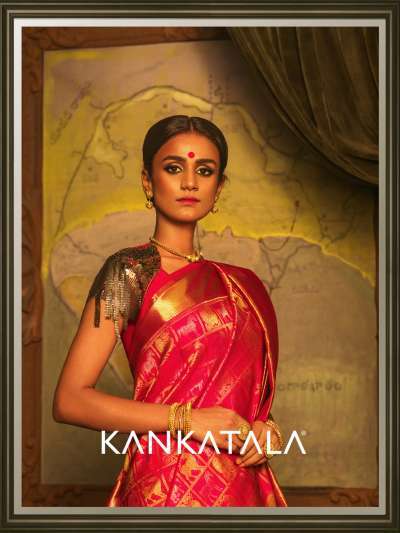 Kankatala, at the threshold of turning 75 years presents a never-before Regal Collection of Sarees inspired by the Bold & Beautiful Queens of Andhra. Each Collection reflects a queen’s distinctive character. Come experience this historical journey which is a tribute to you for making Kankatala what it is today. Dressed in turquoise and blue is Maharani Adi Laxmi Devamma and in a rich pink kanchi-pattu sari with heavy zari work is Rani Akkadevi. 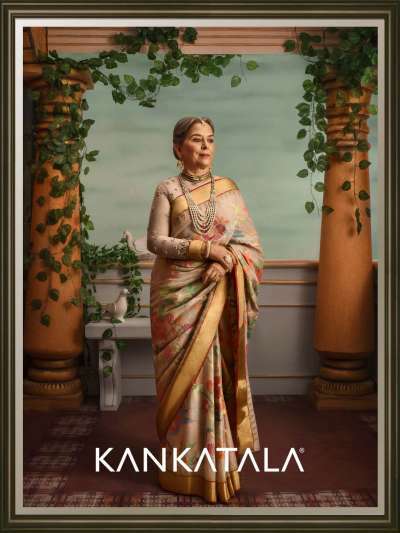 Beloved of Quli Qutub Shah – Rani Bhagmati – is draped in a rich Banarasi sari with antique zari work and our very own Visakhapatnam queen Rani Chandramani Devi is imagined in her timeless grace in a humble khadi with rich jamdani work. Nayakuralu Nagamma stands proud in a nine-yard yellow kanchi sari while Rani Rudramma Devi stands draped in a red kanchi-pattu beauty. The collection has been receiving great response on social media & through word of mouth, leaving everyone mesmerised with the beauty and grandeur of it all. 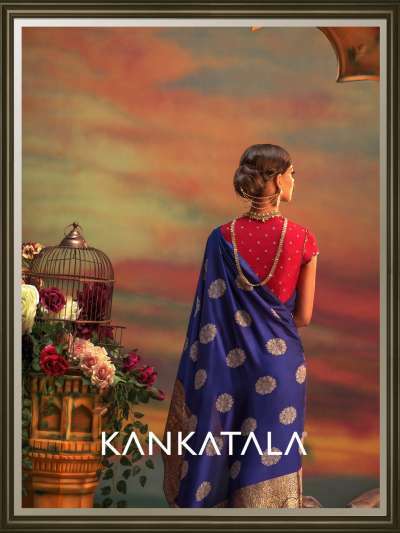 Kankatala has shared a few pictures of the shoot behind-the-scenes and the details in the pictures are just as beautiful as the collection itself. This collection is one that is truly fit for the Queen in you. Head over to their website for a detailed description of the Queens.